We didn’t get an “Indian Summer” in September, which when we usually get one in Wales. What we have had, instead, is a series of sunny days in late October/early November. The sparkling autumn light is stunning. From a painter’s point of view is more interesting than summer light. So last week I drove down to Three Cliffs Bay to enjoy the light. I was surprised by the dark blue of the calm sea. It was quite a different colour from the summer sea. I was hoping that there would be plenty of orange bracken and there was. Not on the slope of the the Three Cliffs, as they are covered in grass, but on the slopes of Cefn Bryn, in distance. These colours sum up the Welsh landscape for me. In fact, I think I like the Welsh landscape in autumn/winter best. The red and the green of the bracken and the grass also put me in mind of the red and the green of the Welsh flag. I find it ironic that there’s less light around but its better quality, from an artists’ point of view. I still have not adjusted to the clocks going back last month, and I am still waking at 5 -5.30am! It does not seem to matter what time I go to bed, I awake in the dark feeling ready to rise. So I get up and here I am tapping away at my computer in the dark waiting for the sun to rise. Soon I will have to get my SAD lamp out to stop the slow slide in winter gloom. Before, you ask, yes, SAD lamps work for me. Does anyone else suffer from this problem? Does anyone have any tips for sleeping in later? Update: I sat with my SAD lamp on for 20 minutes around 7 pm last night and it seemed to help me go back to sleep when I awoke at 4.30 am, and I didn’t get that “wake up” surge of hormones til 6.30. A definite improvement. I’ve just given in to waking up early and–to my surprise–I love it. And the cat’s happy. He gets fed early. Yes, my cats like it too but I fade really fast in the evening. I am the same with early waking. I do like the peace at that time in the morning. I have been thinking a lot about light too. Yesterday there was the most wonderful sunrise with a lilac and apricot sky. The whole garden was bathed in a really warm light. And then today it is a bit gloomy, and I am trying to motivate myself to just get out and go for a walk anyway. Sounds lovely morning colours. Yes, I get a couple of hours of total silence before the world outside wakes up. Glad to hear that I’m not the only one. It’s funny thing the body clock. I wonder whether it’s “lark” people who suffer from this. I am pretty sure that “owls” don’t. I have a SAD lamp, as well. It does help a bit, but I’m not a fan of autumn and winter – or of waking up too early! I wouldn’t mind if I could get up and be productive, but I just feel knackered and brain-fogged. I need to switch my SAD lamp on this evening. It’s the gloomy days that get me. I can’t see to paint properly. I have bright photography lamps but they are no way as good as bright sunlight. I suspect it’s nature’s way of making us slow down and make it through winter. There is a magic in that soft, indirect light, though I’m not a big fan of that early gloom, morning and daytime are lovely. That’s interesting. I think some light is for human eyes, not camera lens! I send you much winter light to help you win over SAD. I’ve never seen that before but there are strong similarities. What the story with the dragon. 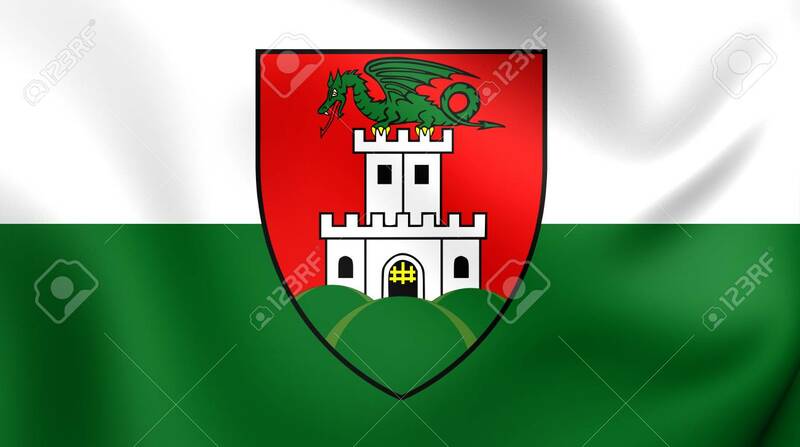 I think with the Welsh flag the red dragon comes from an ancient story about a red (Welsh Christians) and green dragon (Anglo-Saxon Pagans) fighting each other.